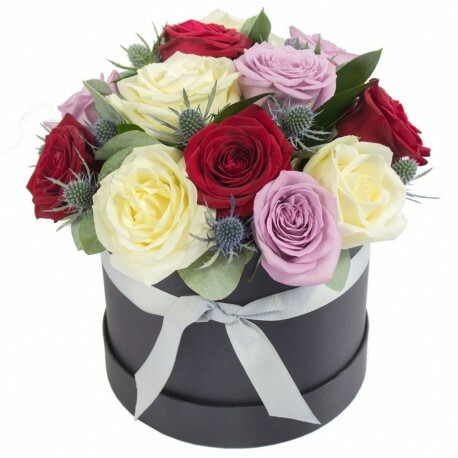 Hat Box Arrangement. Bouquet will be hand delivered by your local florist to help guarantee success on Valentine's day! Rose colours may vary due to availability, & hat box colours may vary due to availability or similar substitute will be used.